Home General Information Rock Hall X Cleveland Public Library Presents Fight the Power! 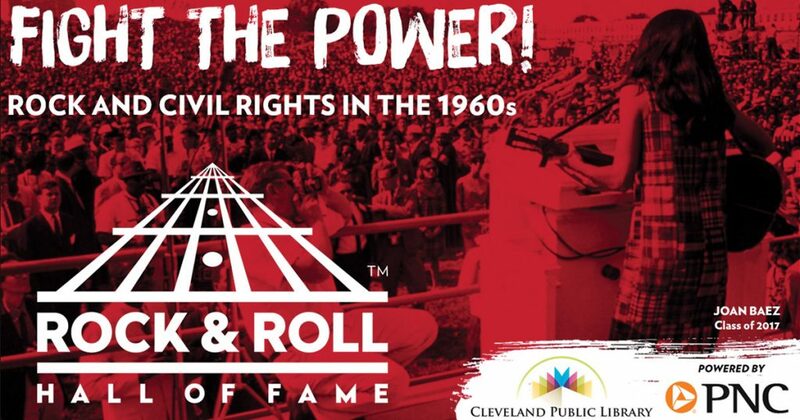 Rock Hall X Cleveland Public Library Presents Fight the Power! The Rock Hall and Cleveland Public Library have begun their collaborative programming, Rock X CPL, Powered by PNC, throughout Cleveland. Rock Hall education staff worked with the Library to determine the kind of programming that would be beneficial for their audiences. The Rock Hall team then designed a program about the power music has to help ignite social change. Rock x CPL: Fight the Power is currently being offered throughout the city. This program is offered through a partnership with the Rock and Roll Hall of Fame and Museum. A powerful soundtrack reflects, drives and defines the fight for rights and respect. Music has always been an important part of social movements, protests, and marches. Youth will explore the beats that fueled change in the past and the music that’s making a change today.